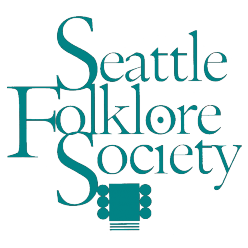 SFS is delighted to present American Songsters: Larry Hanks & Deborah Robins in a special Sunday concert, with guest Steven Strauss. Larry Hanks, is known as a “folksingers’ folksinger”, who has been delighting audiences for over 50 years with his deep bass voice, sparse acoustic guitar accompaniments, and acclaimed Jew’s Harp playing. Hanks is probably best known for his classic “folk” song, “Apple Picker’s Reel”. Larry can be heard on recordings of David Grisman, Jody Stecher & Kate Brislin, Mike Seeger, The New Lost City Ramblers, and many others; and has performed with Utah Phillips, Gordon Bok, Fred Holstein, Martyn Wyndham-Read, Elizabeth Cotten, Malvina Reynolds, Geoff Muldaur, and many more. Now performing with wife and musical partner, Deborah Robins, the two are becoming even more beloved for an eclectic repertoire of American traditional, work, blues, and political songs; the music of Utah Phillips, Larry Penn, Leadbelly, Sam Hinton, Stephen Foster; and others in the pantheon of American vernacular/working people’s music. Actively touring Europe, the UK, and US, Hanks & Robins bring a warm and homey stage presence, most comfortable in creating an intimate musical evening, long remembered by all in attendance. 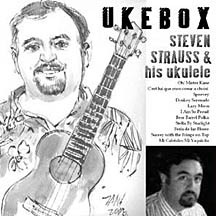 Steven Strauss (http://www.songwriter.com/strauss/index.php) is an undisputed master of the ukulele as a melody-forward solo lead (as opposed to solely rhythm). His influence can be felt far and wide amongst West Coast acolytes, who clamor to hear an eclectic mix of jazz and traditional standards, played with precision in his sparse and thoughtful arrangements. Advance tickets are available from https://sfs-larryhanks.brownpapertickets.com or 1-800-838-3006, and at our concerts prior to the show. Ticket sales begin approximately 60 days before show date.